Another one of those amazing phoitographs of the earth taken by a spacecraft. This time from Messenger. The earth and the moon as seen from Mercury. From APOD: 2010 September 1 – Earth and Moon from MESSENGER. Explanation: What does Earth look like from the planet Mercury? The robotic spacecraft MESSENGER found out as it looked toward the Earth during its closest approach to the Sun about three months ago. The Earth and Moon are visible as the double spot on the lower left of the above image. 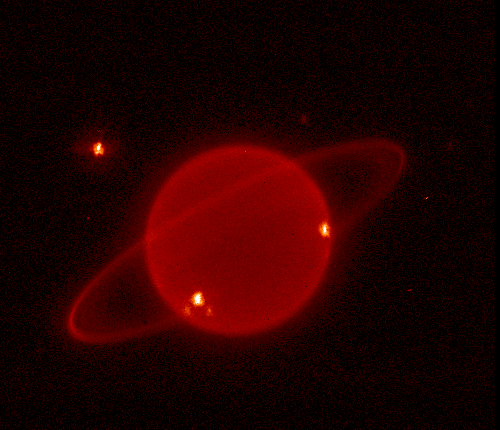 Now MESSENGER was not at Mercury when it took the above image, but at a location from which the view would be similar. From Mercury, both the Earth and its comparatively large moon will always appear as small circles of reflected sunlight and will never show a crescent phase. 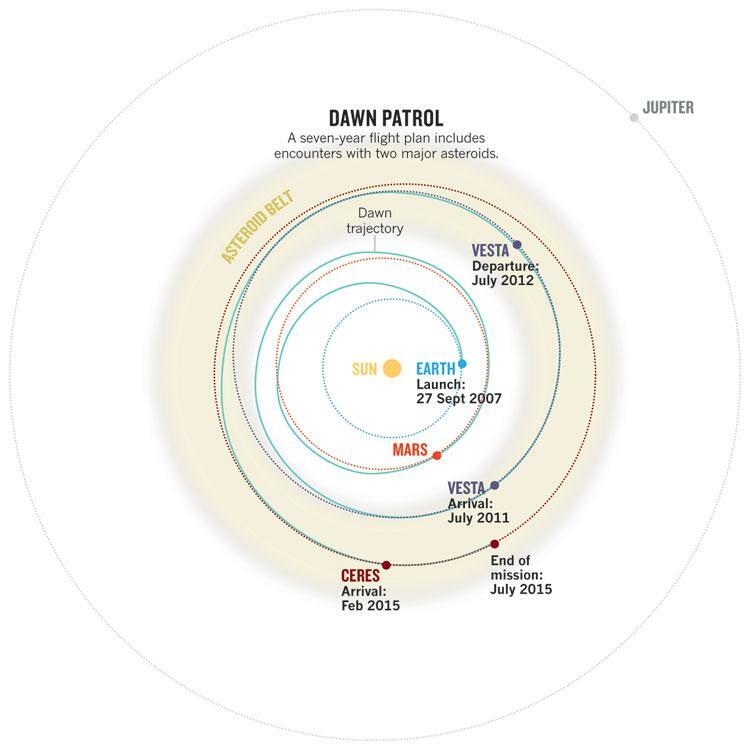 MESSENGER has zipped right by Mercury three times since being launched in 2004, and is scheduled to enter orbit around the innermost planet in March of 2011. Saw this on Universe Today and thought it was quite nice (Nancy is Now on Venus). 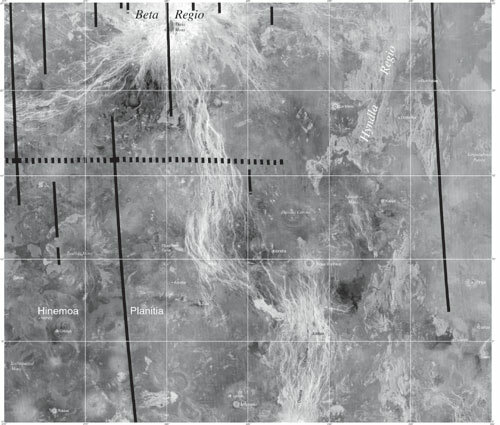 It’s actually an article about naming craters on Venus. 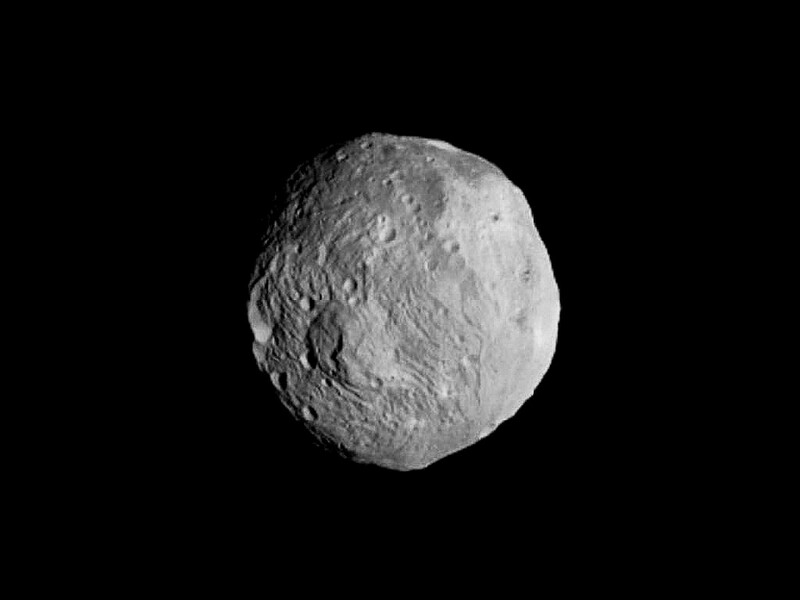 But what struck me is that the crater Nancy it discussed is on a plain called the Hinemoa Planitia. I just wasn’t aware of the connection with New Zealand. Does that give us some sort of twin status? “Tutanekai lived on Mokoia Island, Lake Rotorua, where of an evening he and his friend Tiki used to play – the one on a “horn”, the other on a “pipe”. The sound of this music could be heard across Lake Rotorua at Owhata and it charmed the beautiful and noble-born Hinemoa who lived there. When Tutanekai visited the mainland with his people, he met Hinemoa and they fell in love. The young man had perforce to return to his village, but the lovers arranged that every night he would play and that Hinemoa would follow the sound of his music to join him. Every researcher knows the feeling. When our experiments or observations produce the result we didn’t expect. That conflicts with our hypothesis – or even better conflicts with current theory. Because we know this means progress. We have found something we can’t explain and that gives us a chance to discover something new. That’s why it is galling to hear opponents of science claim that we are an arrogant lot. That we claim to know everything. Or that we claim we can, eventually, know everything. I confronted these sort of arguments recently in a discussion with some religious apologists (see Science and Religion: Theism and Explanatory Idleness). They were criticising scientific arrogance. Claiming that many scientists had a “science of the gaps” approach – assuming everything could eventually be explained by science alone. I challenged the claim – asking for evidence of any scientist advancing the argument. And was told to google Dawkins! Ah, the Dawkins who doesn’t exist but has been invented as an apologist voodoo doll (see The Dawkins Delusions). The High Imaging Science Experiment orbiting Mars is producing some great images of the Martian surface (have a browse through the images at the website). 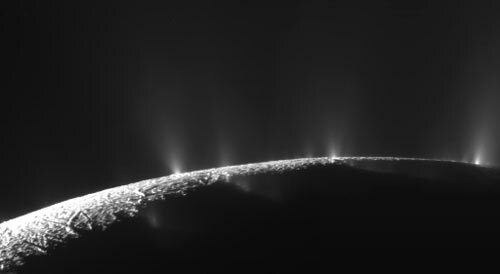 But it’s also being used to image the other planets. 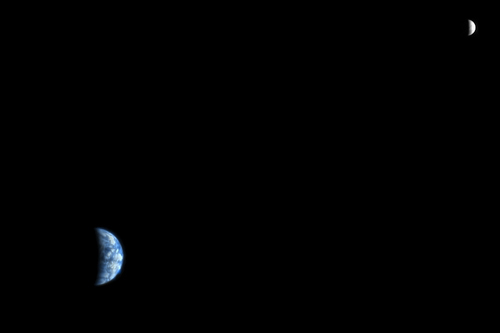 Here’s a shot of the Earth and Moon – taken from Mars! 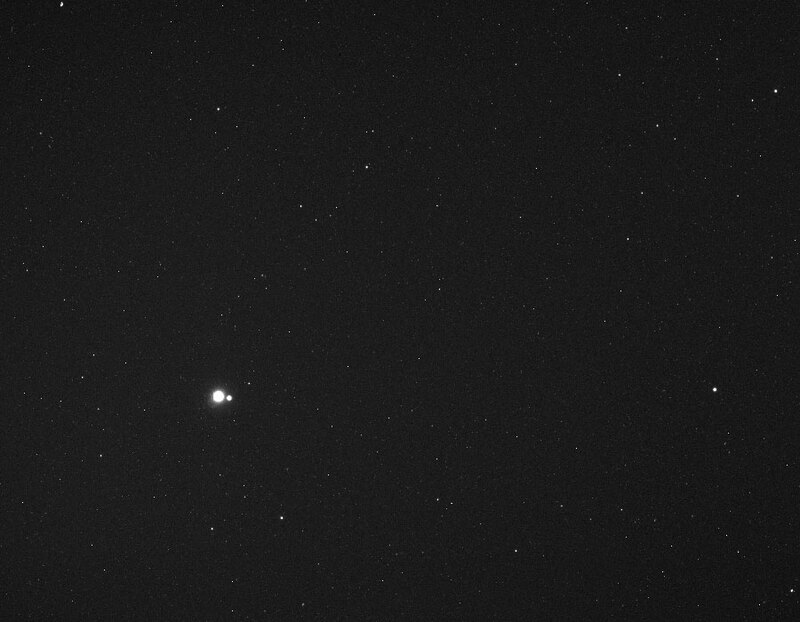 (Source The Earth and Moon as Seen from Mars (PSP_005558_9040)).